Click here to become an insider! There aren’t many singer-songwriters who also know their way around a film score. 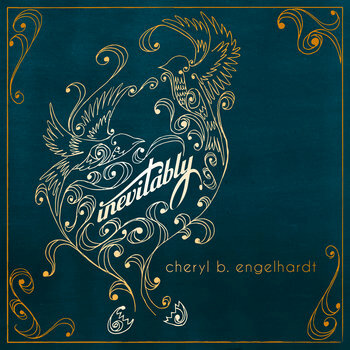 Classically-trained pianist-turned jingle composer-turned touring rock chick Cheryl B. Engelhardt harnesses a traditional scoring education (thanks, Cornell & Juilliard) and songwriting sensibilities (thanks, bandmates), with a side of intricately lush harmonies. Playful on the piano and a magician with vocals, the New Yorker blends poignant melodies with pop production, and technical proficiency with clever yet soul-touching lyricism. Cheryl is known for her love for partnering with, listening to, and enhancing whatever story she can get her hands on, whether a documentary on eco-tourism, a comedy series, a song collaboration or a commercial for dog food (oh yes she loves her basset hound). This emotive collaborative record will get your toes tapping, your brain thinking, and your senses awakened. Sink into the lush harmonies and expressive duets for a real treat from seasoned songwriter Cheryl B. Engelhardt and her partners in creation. 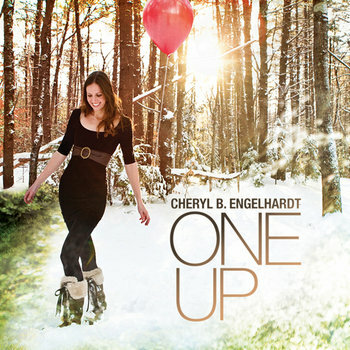 Based off of Cheryl's 2010 "One Up" project, where she wrote and released one fan-funded song each month for the whole year, this record is a remixed, re-recorded, high end bundle of pop songs that have been getting great reviews and are being heard on the airwaves all over the place. Download now! This record hosts Cheryl's first TV placements. The record was written to perform live and after hitting the road for a few years with these songs, they became perfect uses for shows like "All My Children", "Real World" and "Jane By Design"! Cheryl has been producing piano-pop records since 2004. Her 4th studio album, "Inevitably", is a collaborative effort between Cheryl, her fans, and many singers and writers around the globe. It is her first published work to be on the "For Your Consideration" round on the Grammy Ballot under several categories including Best Pop Duo, Best Pop Vocal Record, and Best Arrangement for Vocals and Instruments. Get the album here on iTunes or anywhere you love to find music! The songs that live on this page have been placed in over 40 TV shows and commercials. Click here for Cheryl's licensing one-sheet. 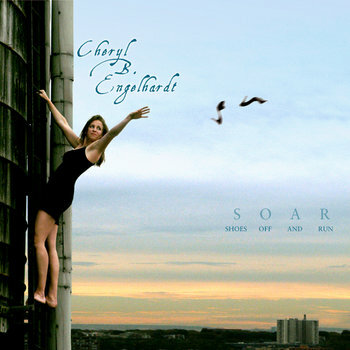 Cheryl is a Cornell University graduate and studied orchestration at the Julliard School of Music. She is working on a musical, several choral pieces, and her fifth record. Get excited for printable wall art, courtesy of Cheryl's lyrics! Choose one or get the bundle for more options! No shipping costs, you can simply print at home! Scroll down to see all 7 options! (6 lyrics and one cover art!) If you want frame recommendations, I love this reclaimed wood frame (on Amazon) or this set of 6 simple black frames (also on Amazon). BUNDLE: All 6 Printable Lyrics Wall Art plus more! Get all 6 printable wall art lyrics, plus the Inevitably alum art drawing, plus 6 additional files with "Cheryl B. Engelhardt" and the song title on the bottom of the lyrics. You can choose which will match your home's aesthetic or be a better conversation starter! 13 files in total! They will be delivered in a .zip file, just double click to reveal your 13 PDFs and select which ones you'd like to print. "Love is in the air tonight." From the song "Inevitably", off of the record Inevitably. "Find your stride, the power inside." Lyrics from Side To Side, off of the record One Up. "You don't know 'till you try." Lyric from "Know Yes" off of the Inevitably album. "I can be who I want and I want to just be." Lyric from "16 Walls" off of Craving The Second record. "I can fly." Lyric from "The Kid In Me" from the album One Up. Drawing by Austin Wei. Cover art for the album Inevitably.